WebDAV (Web Distributed Authoring and Versioning) is an extension of the HTTP/1.1 protocol. The WebDAV protocol allows to access files on the remote server and perform common actions: reading, writing, deleting files. Typically, this protocol is used by users to work together with remote files. Simply put, WebDAV is essentially a web-based shared folder. To access the WebDAV shares, WebDAV client must be installed on the client side. 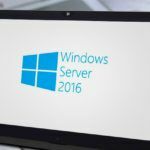 In Microsoft server operating systems there is no WebDAV client by default. For example, in Windows Server 2008 R2,2012/2012 R2, the WebDAV client is included to the Desktop-Experience feature. Therefore, to access WebDAV resources from these OSs, you must install this feature. Tip. In Windows Server 2008 R2, the Install-WindowsFeature cmdlet is missing, instead you need to use the Add-WindowsFeature. MRxDAV (get-service MRxDAV) — File system driver (WebDav Client Redirector Driver). By default, the WebClient service and the MRxDAV driver are disabled and configured to run in Manual mode when a trigger event occurs. Apparently, according to the idea of the developers, the service should have been launched when it first accessed from the driver MRXDAV.SYS, but, alas, it does not work everywhere. Therefore, we will force Automatic option for the service. The WebClient service is configured through the registry. 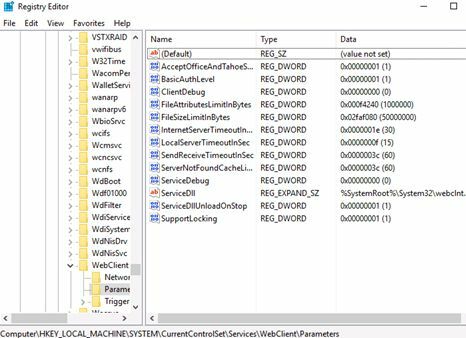 All available settings are located in the registry key HKLM\SYSTEM\CurrentControlSet\Services\WebClient\Parameters. From a practical point of view, the following parameters of the WebClient service may be of interest. FileSizeLimitInBytes — maximum size (bytes) for file transfers (by default 50 MB). 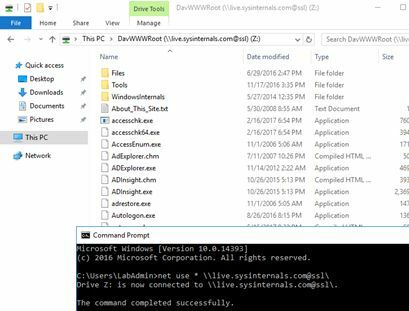 To test the operation of WebDav Client, let’s use the webdav-enabled share on live.sysinternals.com. This web directory stores popular sysadmin’s utilities from Sysinternals. Fantastic. Just the thing i was trying to do …. now to convert it to powershell for automation.